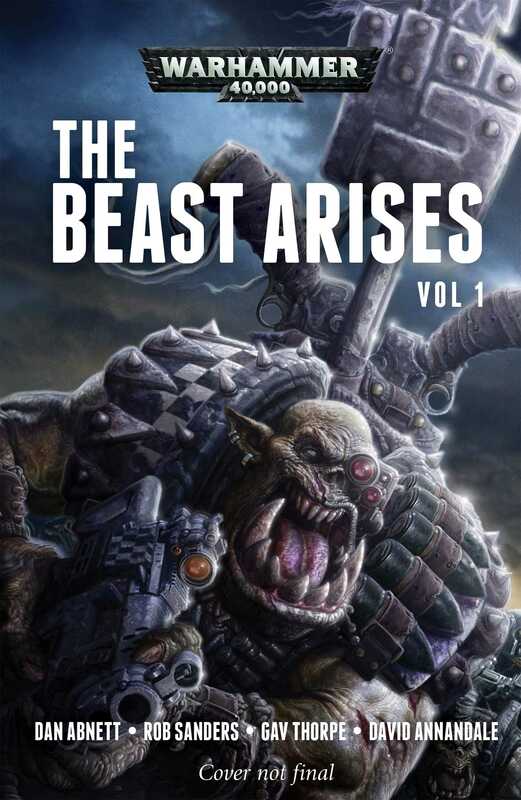 ‘The Beast Arises’ is an epic Warhammer 40,000 series from Black Library. Spanning twelve volumes, the story covers a galaxy-wide conflict between humanity and a massive ork invasion. It is the thirty-second millennium, and the Heresy is but a distant memory. After centuries of peace, the Imperium is thrown into panic as worlds everywhere are menaced by orks. In a relentless tide of slaughter, ork attack moons destroy planet after planet with gravity weapons of unstoppable power. On Terra, the High Lords are paralysed by the scale of the threat, and fail to take any effective action. With entire Space Marine Chapters missing or destroyed, does anyone have the will and the power to rise to the Imperium’s defence?